Basics What is Ripple – The Most Underrated Cryptocurrency? Ripple is not just another cryptocurrency. The main difference to Bitcoin and other companies is that Ripple is run by the company Ripple Labs, which was founded in 2012 in San Francisco by today’s CEO Chris Larsen and Jed McCaleb. Ripple Labs is registered in many countries as a company, and is fully viable with all rights and obligations. McCaleb is no stranger to the digital world. In 2000 he founded one of the largest video sharing platforms, eDonkey. In 2007 he developed an online platform for the exchange of “Magic” trading cards. The name: “Magic: The Gathering Online Exchange”, or just “Mt. Gox “. When this business lost Revenue, he recognized the potential of Bitcoin and developed the well-known and one of the world’s largest trading platforms for bitcoin with the same name, Mt. Gox. In March 2011, however, he left Mt. Gox in a surprising move. This happened before 850,000 Bitcoin were lost and Mt. Gox had to stop all activities. The other founder, Larsen, was also no stranger to online business before Ripple Lab’s founding. He previously led the online finance company E-LOAN. Many developers from the ripple team also have a Bitcoin background. During the financing phase, Ripple Labs received venture capital from different investors, including Andreessen Horowitz, Google Ventures and the IDG Technology Venture Investment Fund Capital. Unlike, for example, Ethereum, Ripple Labs’ further profit will be made by the price development of the XRP TOken. This is similar to the basic principle of the stock market. By buying Ripple, investors can contribute to the economic success of Ripple. Ripple is a technology that exists both as a cryptocurrency and acts as a digital payment network for financial transactions. It was developed to connect the world’s financial systems and enable a secure transfer of assets (funds, Fiat money, etc.) in real time. Both the cryptocurrency, XRP, and the transaction protocol, RTXP, are called Ripple. However, it is important to separate both. The aim of Ripple Labs is to allow the transaction protocol a “limitless” financial network, the limitations and disadvantages of banks or even PayPal do not exist. Examples of restrictions at this point are transaction fees (even if there is a small fee for ripple) and, in particular, transmission delays. Ripple’s goal as a cryptocurrency is to build on Bitcoin’s decentralized digital currency approach and to provide the “base currency” for the protocol. In other words: Ripple is fundamentally different to Bitcoin. Ripple is a back-end infrastructure for the financial sector, not a product that addresses primarily the individual. It’s a real-time payment protocol for anything of value. Anyone who thinks that Ripple has no potential to rise in value is wrong. Importantly, Ripple Labs also has a keen interest in adding value and, as a primary business objective, is seeking to broadly disseminate XRP, which increases the demand for XRP and hence the limited supply of value. The XRP Token is issued by Ripple Labs. Ripple can be traded like Bitcoin and Ethereum, but it cannot be mined. Therefore, only a limited supply of Ripple exists, the ones that have “emerged” during the creational process. 100 billion XRP were created at the beginning, and according to the protocol rules there cannot be more than that. Currently, less than 40 percent of all ripple tokens are available. 50 percent will be withheld by Ripple Labs for self-financing. The remainder will be spent by Ripple Labs upon its own decision. Unlike Bitcoin, Ethereum, and Co., Ripple Labs has an important role to play in currency distribution. The original task of Ripple is to act as a bridge currency to other currencies, whether fiat or cryptocurrency, and to make exchange between the currencies as easy as possible. Another difference to Bitcoin and Ethereum is that is uses neither a “proof-of-work” algorithm (as there is no mining), nor a “proof of stake” algorithm, as sought by Ethereum in phase 3. Instead, transactions are based on a consensus log that validates them. There is a small transaction fee for exchanging Ripple of about 0.00001 XRP. This amount is not withheld by Ripple Labs, but is destroyed. This is intended to protect the system from attacks that attempt to flood the system with millions of transactions, thereby crippling the network. To understand the Ripple Protocol, it is important to know what a protocol is in the first place. For the non-technology geeks we would therefore like to explain the term protocol for a better understanding. A protocol is a system of rules. This controls the transport of the (encoded) message from one system to another system, by decoding the message. The most well-known protocol is the Hypertext Transfer Protocol known from the Internet: HTTP. The ripple protocol – RTXP is similar. It sets a set of rules for different financial systems to communicate with each other. The idea of ​​the Ripple-Labs founders is to create a universal set of rules that any financial institution can use to carry out its transactions with other institutions. This would mean a standardization and simplification of the entire banking world. The transaction could take any form of asset: USD, Euro, Gold or Bitcoin. The basis for this flexibility are the so-called “gateways”. These serve as intermediaries, by receiving and sending the currencies through specific addresses in the ripple network. Any business can register and apply for such an address to enter the system. Each currency has its specific gateway, such as: USD Snapswap and Bitcoin Bitstamp. Ripple can therefore be compared to a bond. The gateway owners, mainly banks, issue values ​​based on the ripple protocol and vouch for their redemption. This process is also referred to as “rippling,” which means to “liquidize” the values ​​(USD, EUR, etc. ), meaning to convert to Ripple. Transaction processing on the ripple protocol is based on a consensus algorithm as briefly described above. The basis is a register with account statuses. If there is a change in the register, for example through offers to buy or sell, within seconds (two to five seconds) after the change by the participants of the network agreement on the changes in the register and in the context of the consensus procedure by the ripple protocol found. Within the consensus process, the Ripple protocol enables fast and secure transaction processing without the involvement of a central authority that decides which transactions to confirm and execute. Because of this, the ripple platform is also described as decentralized. In its final stage of development, Ripple will be a distributed peer-to-peer payment system and a foreign exchange market. Ripple Labs was able to introduce numerous new banks as cooperation partners during recent months and years, such as Santander, UBS, UniCredit, Bank of America Merrill Lynch and ReiseBank. In May 2017, Ripple announced 10 new banks from around the world as their partners, including BBVA in Spain (Spain’s second largest bank), Mitsubishi UFG in Japan (Japan’s largest bank), Akbank in Turkey, SEB in Sweden and Axis Bank and Yes Bank, both in India and ITAU from Brazil, the largest Bank in South America. In June 2017, a large-scale test was conducted with the Central Bank of England to improve cross-border transactions. As a result, Ripple and the Bank of England have published the “Proof of Concept”. 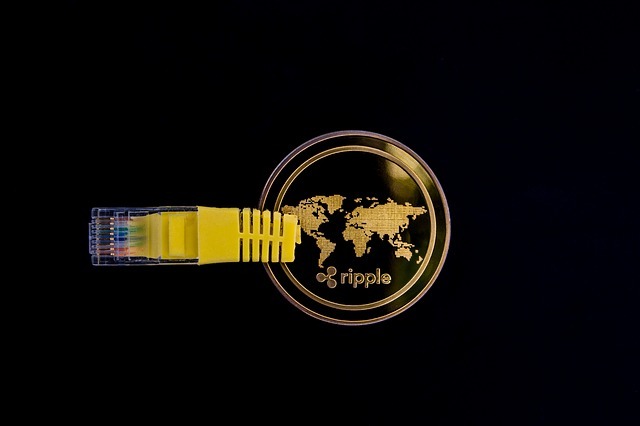 Numerous other Ripple customers have also tested the network and completed transactions. The growing number of cooperation partners, especially banks, shows the great interest in ripple technology. Banks recognized that Bitcoin and Ethereum could mean a revolution in finance technology. The Ripple technology could usher in a revolution on the part of the banks.